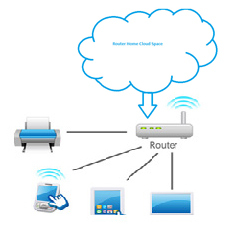 To promote home routers to high level, by providing facility called home cloud space on the routers. The devices connected to router through LAN and WAN can share the data in secured way if they registered for the Homecloud space. Homecloud is a home-based application for data sharing and storage that uses cloud technology to quickly and securely connect your devices, files, and favourite online services to each other. Your files are automatically protected and you’ll always have total control over how and with whom they’re shared. Mars provides extended services for the cloud provider with solutions that are pre-integrated and tested to work across the entire stack, whether in your data centre in the cloud. Mars has supported cloud services across different platforms. That way, even though cloud computing means different things to different people, you will have a single, complete, and integrated platform to serve them all.